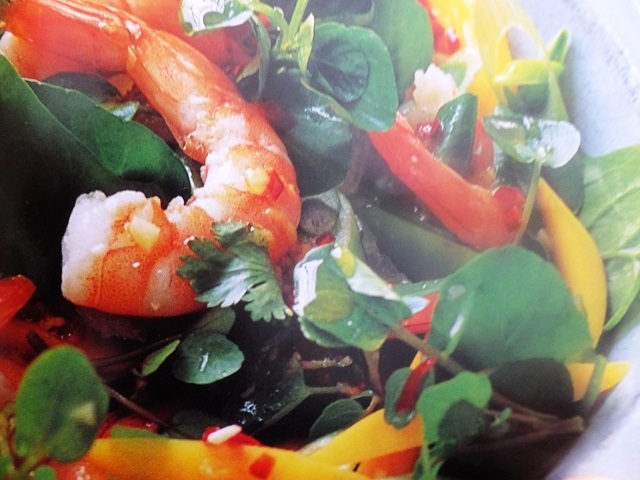 How to make 4 people sweet chilli prawn and egg noodle salads? 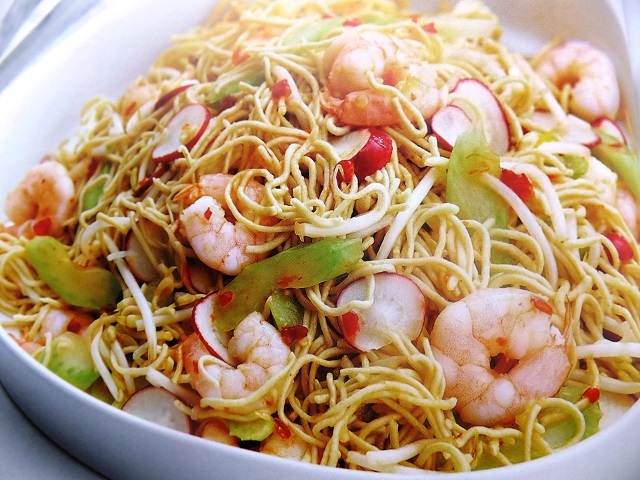 Sweet chilli prawn and egg noodle salad recipes and ingredient shared on our page. 1. Put the egg noodles in a large bowl. Pour over a kettle of boiling water and cover with clingfilm. Set aside for 5 minutes, stirring halfway, until just softened. Drain, run under cold water to cool, then drain again and tips into a large bowl. 2. Add the celery, radishes, beansprouts and king prawns to the noodles. 3. Drizzle with sweet chilli sauce, season and toss everything together until combined. 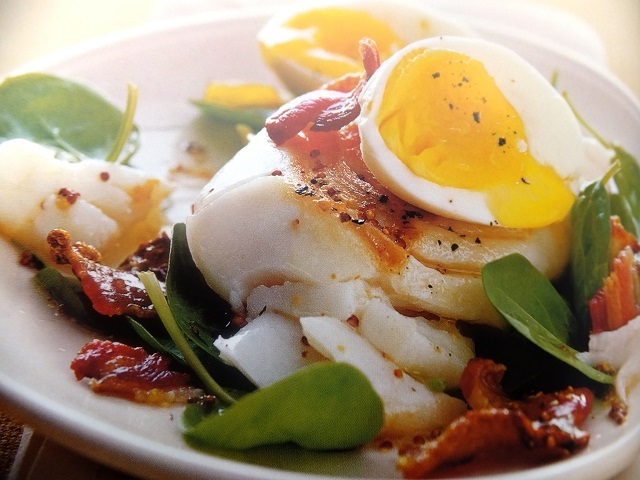 Divide between plates and serve with extra sweet chilli sauce to drizzle over. Your enjoy meal!